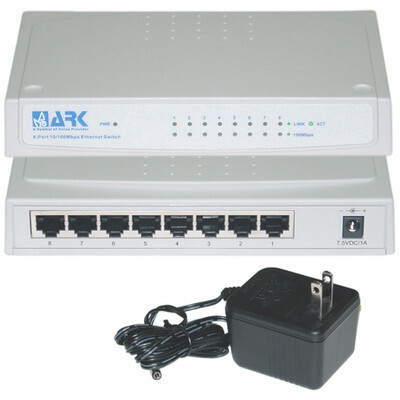 More Product Info10 / 100Mbps 8-Port Desktop Ethernet Switch. Supports Full / Half duplex operations. Store-and forward switching method. Use any port for easy expansion. Wire-speed filtering / forwarding rates. A switch does the same function as a Hub. A switch will memorize port locations, therefore being able to transfer files quicker. This switch met expectations and preformed well.